Plays on table. 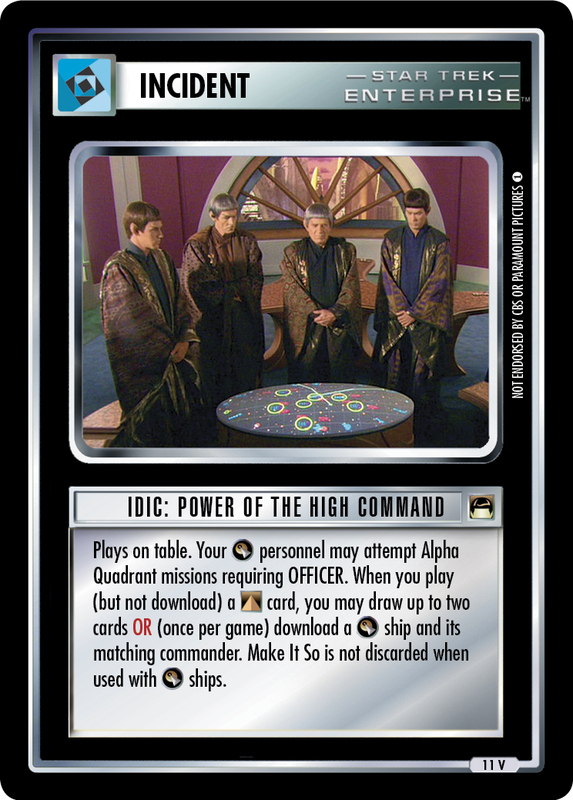 Your personnel may attempt Alpha Quadrant missions requiring Honor. 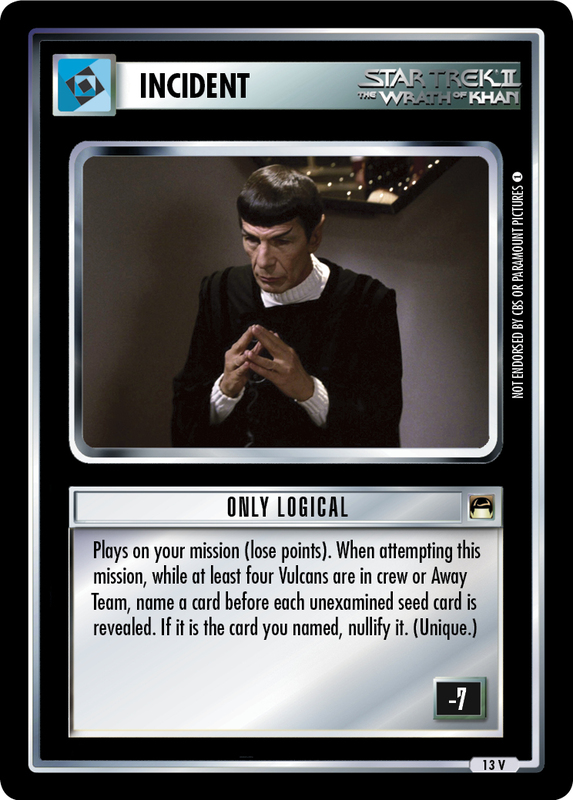 When you play a Vulcan Dissident as your normal card play, you may draw a card. 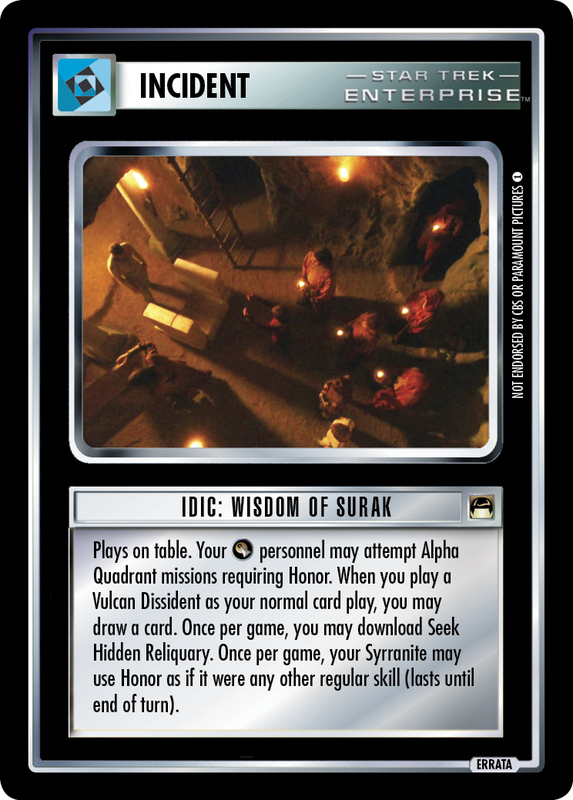 Once per game, you may download Seek Hidden Reliquary. Once per game, your Syrranite may use Honor as if it were any other regular skill (lasts until end of turn).